So many criminal fines have been imposed against drug manufacturers in recent years that it is surprising the general public is not aware of the ongoing criminal activity of some of these companies. A court in Virginia this Tuesday ordered Abbott Laboratories to pay $700 million in fines for criminal misconduct related to off-label marketing, kickback schemes and false claims related to their anti-seizure medication Depakote. A primary target of this illegal scheme was the elderly, who were sold Depakote for treatment of dementia and schizophrenia. Of course, the drug not been approved for these uses. The obvious reason that drug companies keep committing these crimes and keep suffering fines is that it remains very profitable for them. Abbott Laboratories accumulated over $1 billion in sales of this one medication alone, so a fine of $700 million is worth the risk of being caught. Unfortunately, the general public is not keeping track of all this wrongdoing. 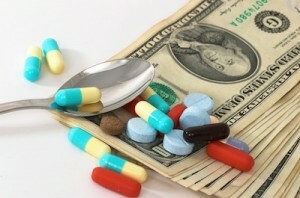 In 2009, Pfizer was required to pay $1.2 billion in fines for marketing gets prescription drug extra. Just this year GlaxoSmithKline entered a guilty plea and had to pay out $1 billion for crimes related to its diabetes drug Avandia, as well as misbranding its antidepressant medications Paxil and Wellbutrin. It is sad that the people harmed by these practices do not get to share in any of these funds, all the money goes to the government. Meanwhile, injured victims have to contend with a court system now stacked against them because of all the judges who have been appointed specifically to help large corporations avoid responsibility for the harms they perpetuate on their customers. Recently, a federal judge in Florida ruled that Medtronic Incorporated did not have to pay anything to a woman whose daughter died after having received a defective pacemaker, because the court said federal law preempted state law and no state court or Federal court hold Medtronic liable for its wrongdoing. None of this unfairness will improve until the general public starts to take notice of all the criminal wrongdoing and the lobbying and propaganda money being spent by these corporations in the ongoing effort to avoid responsibility in court.